"The color images are high resolution and very helpful and informative, and an added bonus is the extensive glossary at the end…Compendium of Hop Diseases and Pests will be most useful to plant pathologists and those involved in commercial production of this specialty crop, but it may be enjoyed by the great many hobbyists, including home brewers, who are quickly getting into cultivating this interesting and useful plant." 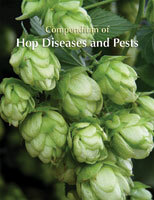 Compendium of Hop Diseases and Pests is a comprehensive and authoritative account of diseases and pests of hops as well as numerous other disorders and injuries that impact this valuable specialty crop. This compendium is a practical reference for anyone interested in healthy, high-quality hops, which in addition to brewing, is showing promise for use in sugar processing and as a preservative in ethanol production and for its potential use as an antimicrobial additive in animal feed. More than 140 color images are presented with expert scientifically peer-reviewed descriptions of the identifying characteristics of disease and pest symptoms and their causal agents. This book also provides an overview of the taxonomy and botanical traits of the genus Humulus. It provides insight into cone uses and chemistry, methods for hop production, and an extensive list of hop cultivars and their characteristics. The description of each disease or pest includes a general account of its importance and world distribution, symptoms, causal organism or agent, disease cycle and epidemiology, management, and selected references. The references document the descriptions and provide resources for additional information. Compendium of Hop Diseases and Pests assists in the diagnosis of hop diseases and pests in the field, laboratory, or diagnostic clinic and provides recommendations for management of hop diseases and pests. 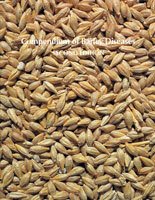 This compendium will be useful to plant pathologists, entomologists, nematologists, crop production specialists, growers, diagnostic clinicians, students, regulatory agents, crop consultants, agribusiness representatives, educators, researchers, and others interested in the recognition or management of hop diseases and pests throughout the world. Visually identify your problems that affect hop plants or cones with 147 color photographs of diseases, pests, and other disorders. A useful broad reference for home brewers particularly those interested growing their own hops. This compendium contains sections on hop taxonomy, chemistry, and production with an extensive listing of hop cultivars and their characters. Identify growth abnormalities that are not caused by plant pathogens or insects with expert descriptions and color photographs of symptoms of nutrient disorders and plant injury. "...most practical benefit to hop growers, extensionists and pathologists working in the laboratory or classroom...carefully written and is accompanied by many good quality photographs of symptoms, which mean that even the less experienced will still find this compendium of use."